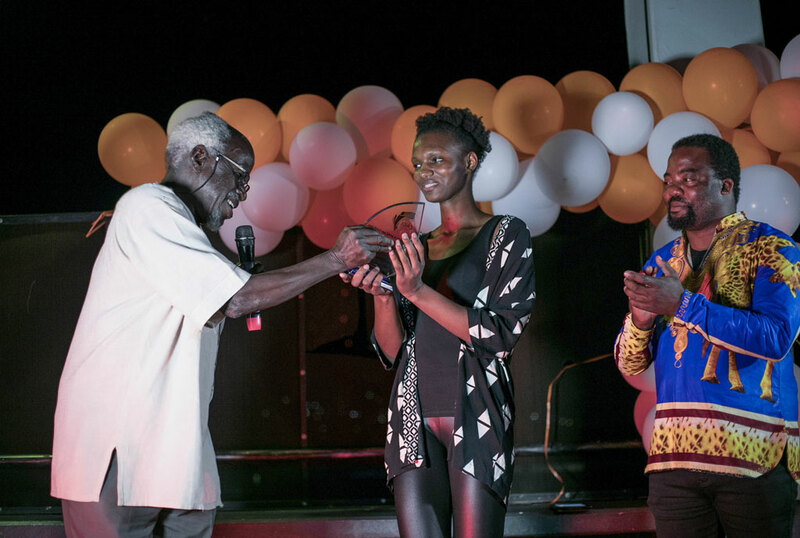 Chisanga Mukuka receives her prize from Prof Taban. Apparently, the conversation of organising the Writivism Festival as early as June had Bobi Wine in mind. Since winning the election mind last year, the singer turned politician, Robert Kyagulanyi has given music and art a whole a new face. Not that he is the first artiste to venture into politics, but he is a gem that didn’t go to retire into politics – one day he is releasing a tune like Kyarenga and on another day he is fighting the removal of the age limit cap. For the organisers of Writivism Festival, probably Uganda’s most pronounced literary celebration, having Bobi Wine on a panel discussion that tackled music and sounds of freedom was one thing that would preach truth to aspiring artisans that flock their festivities. Yet even when the schedule for the singing legislator had proved that impossible for them to have him, his name created the backbone of the discussion, in fact, even in other discussions, Bobi Wine and his brand of struggle got a mention. By the time of the festival, it had been five days since Bobi Wine and other MPs had been arrested, much as the other co-accused legislators had been produced in court, Bobi had not. Social Commentator Joel Isabirye believes besides the message Bobi Wine preaches, he is a force thanks to the social capital his music and celebrity gained – and in this case, easily believable because he had spoken truth to the authority in songs like Ghetto back in 2006 to Ebibuzo in 2008. Surprisingly, for many that attended this year’s edition of the literary festival, it must have felt uniquely different, titled Legacy, this edition was attempting to reconcile the present with the past and how these two influence each other. However, besides the presence of Prof Taban Lo Liyong, the whole feel of Legacy seemed to run out of the window every time talks began, this gave way to a more political Writivism than many have seen before. And neither would Taban himself avoid the politics, in fact, he may have set the tone, he noted that while reading the news, he had noticed freedom fighters that had been arrested and tortured for speaking out and later noting that such people are saints awaiting canonisation. Much as politics is one thing art is not supposed to shy away from, in Uganda, it is one thing different artists usually tackle in an hush tone, for instance, even when what is happening to Bobi Wine is not that different from what Daniel Kalinaki talks about in his book, Kizza Besigye And Uganda’s Unfinished Revolution, such matters have rarely come to the fore yet the book has made trips on almost all Uganda’s literacy platforms. 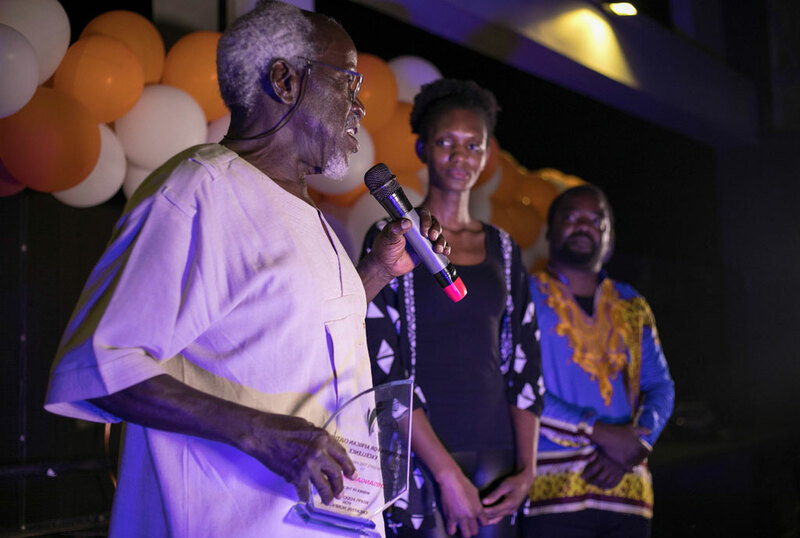 Kalinaki was one part of the three judges for this year’s Koffi Addo Prize for Creative Non Fiction, other two being Akwaeke Emezi (chair) and Sumayya Lee. Chisanga Mukuka, originally from Zambia but raised in Lesotho and later Cape Town, South Africa, talking to Daily Monitor, she said that she had applied for Writivism Festival as many times and the best she had made was a top 100. “But I never gave up,” she said while accepting the prize during a cocktail party at The Square. Mukuka beat off competition from Nigerians Ope Adedeji and Karis Onyemenam; her story Belonging explored themes of being a migrant from an early age. Mbogo Ireri a Kenyan hotelier took home Best Short Story Prize for his Hope and Dreams, in absence, he beat Mali Kambandu from Zambia and Obinna Jones from Nigeria.